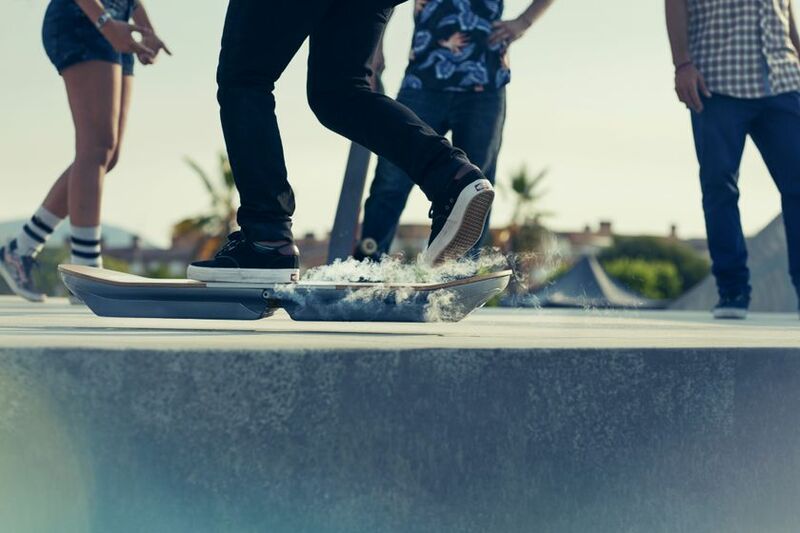 TOKYO, JAPAN, August 5, 2015 – Following the unveiling of the Lexus Hoverboard in June, Lexus is launching a full and final reveal of the project, concluding a successful testing phase that took place in Cubelles, Barcelona. The Lexus Hoverboard project began 18 months ago through a collaboration with a team of scientists from IFW Dresden and evico GmbH, who specialize in magnetic levitation technology. Following extensive testing with pro skateboarder and hoverboard test rider Ross McGouran in Dresden, Germany, the team was determined to push the hoverboard to its limits and conduct further tests within dynamic surroundings. 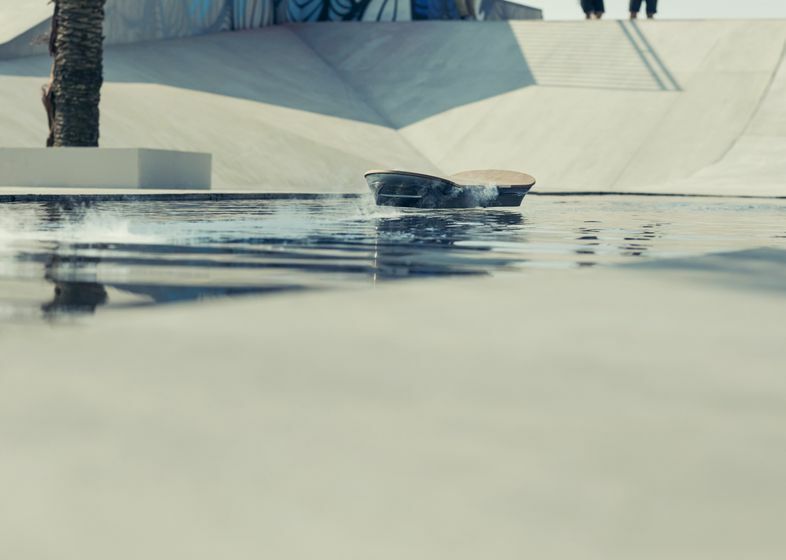 Since the Lexus Hoverboard was unveiled in June, testing has been carried out in a specially constructed hoverpark, combining elements from skate culture with technology within its architecture. Up to 200 meters of magnetic track was transported to Barcelona from the Dresden facility to lay beneath the hoverpark surface in order to create the dynamic test. This offered Lexus the opportunity to demonstrate tricks no skateboard could ever perform, like travelling across water. Lexus has captured the final ride footage and released it as a film led by award winning director Henry-Alex Rubin. The Lexus Hoverboard film, “SLIDE,” features the high performance GS F and is part of the fourth project in the Lexus “Amazing in Motion” campaign series that showcases creativity and innovation from the Lexus brand. 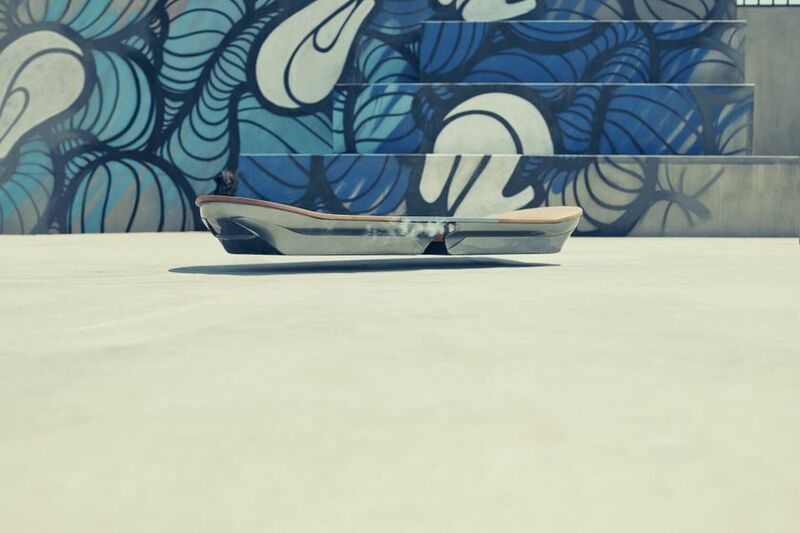 Notes to editors: The Lexus Hoverboard remains a prototype and will not be on sale. Official hashtags: #LexusHover and #AmazingInMotion. evico GmbH is a subsidiary from the Leibniz-Institute for Solid State and Materials Research Dresden (IFW), both based in Dresden, Germany. Evico develops superconducting magnetic bearings for industrial applications and transportation. IFW is a leading research institute in the field of material science that performs research from the fundamentals to applications. With his effortless style and huge bag of tricks, Ross has become one of the fastest and most engaging skaters around. Ross began skating 20 years ago on the concrete surfaces of his local skate park in the U.K. He came up quickly through the sponsored ranks due to his ability to skate anything—flying through every contest he entered. Ross is part of the Element Europe team. He is also a pro-rider for Vans Europe, travelling with them to countries such as Sri Lanka, China, New Zealand, Australia, and Spain. Recent Career Achievements: 2009 and 2010 - 1st UK Champs, 2011 - 2nd UK Champs, 2012 -1st Vans DTSD Amsterdam, 2014 -1st Oslo Games. Being sponsored by Vans & Element has given Ross a platform to showcase his talent, and magazines such as Sidewalk, The Berrics and Red Bull Skateboarding have been quick to seize on this; especially in the wake of the phenomenally successful “Hold it Down” video from 2013. Upon graduating from Columbia University’s film program, Henry-Alex Rubin dove into filmmaking and was mentored by director James Mangold. Since then, Henry has made documentary films and broken into the commercial world, winning various awards along the way. Recently, Henry collaborated with Chiat Day and Gatorade on Derek Jeter’s goodbye spot celebrating Yankees fans, the city of New York and the end of Jeter’s baseball career. The spot received worldwide acclaim and was featured as Adweek’s Ad of the Day, gaining over 9 million hits on YouTube. At the Cannes Lions 2015, Henry came away with a number of Lions, including a Gold in Film for his Gatorade “Made In NY” spot. He also swept the decks with his Burger King, “Proud Whopper” spot, taking home a phenomenal 9 Lions, including 3 Gold, 3 Silver and 3 Bronze across the categories.